I was offered a ride by a great guy, Shay Blackley who was a vender at the KO. He was driving back to Utah anyway so a detour to Palm Desert wasn’t out of his way. I had an old work friend who lives there: Greg Rose. I’m really appreciating the showers and laundry when it comes my way. Thanks, Greg!!! 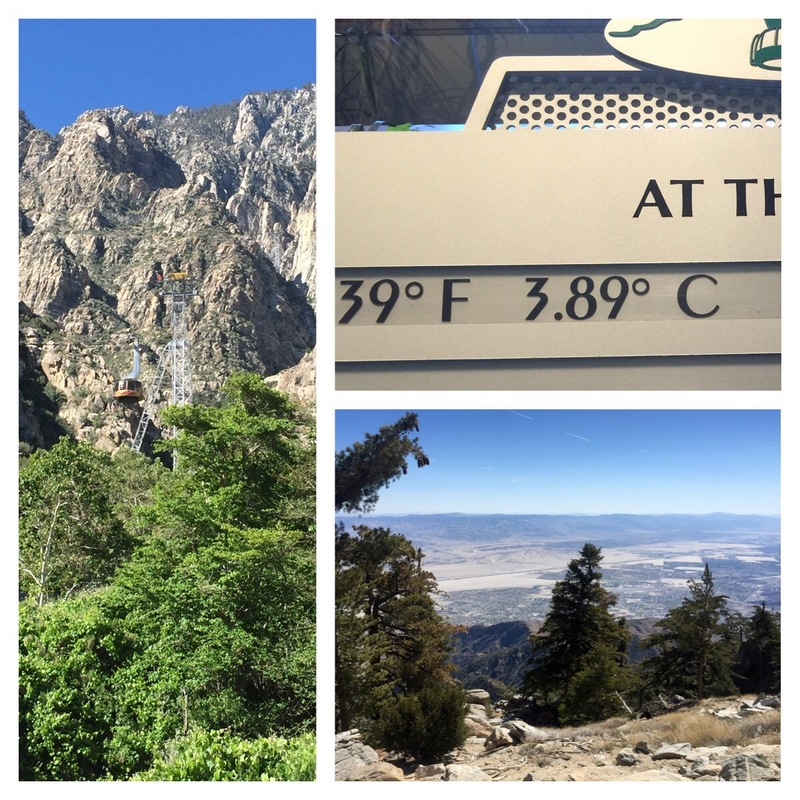 On Monday Greg dropped me off at the Palm Springs Tram, which drops me off within 5 miles of the peak. The plan is to summit San Jacinto then rejoin the PCT not far from the closed section, (Fire Closure from 2013) then make my way back down the mountain to cross under I-10. Is there a reason the PCT is closed? Fire is fire, does it make the trail unsafe or are they trying not to disturb its regrowth? The reasons are many, but basically it’s up to the state park service.